This morning we met up with friend Carl Magnus for a bit of a walking tour of ABBA-related sites. Not the usual places that have been seen before , but some more off-the-beaten-track ones. Partly for the enjoyment of seeing the sites, partly for research, and just sight-seeing in some different Stockholm neighbourhoods. 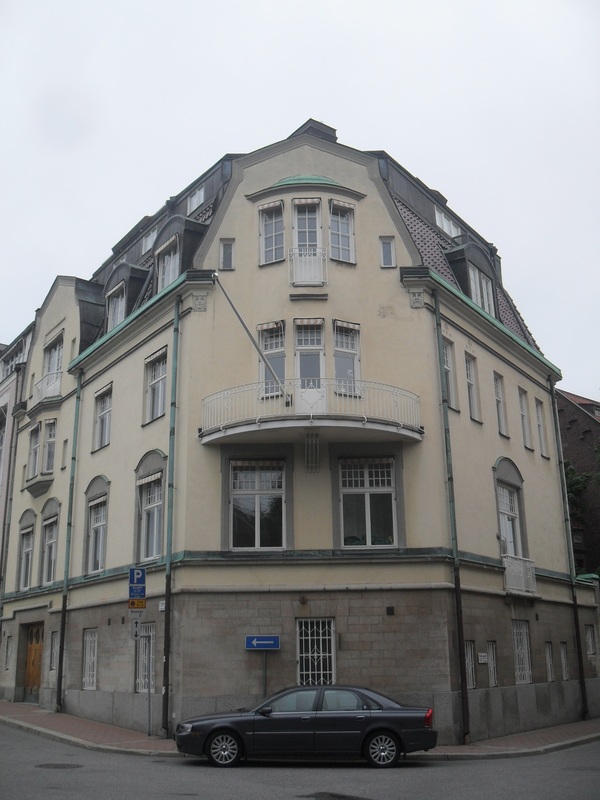 First up we visited three sites that had been home to the offices of Sweden Music and Polar Music, ABBA’s record company, from 1963 up to 1975. 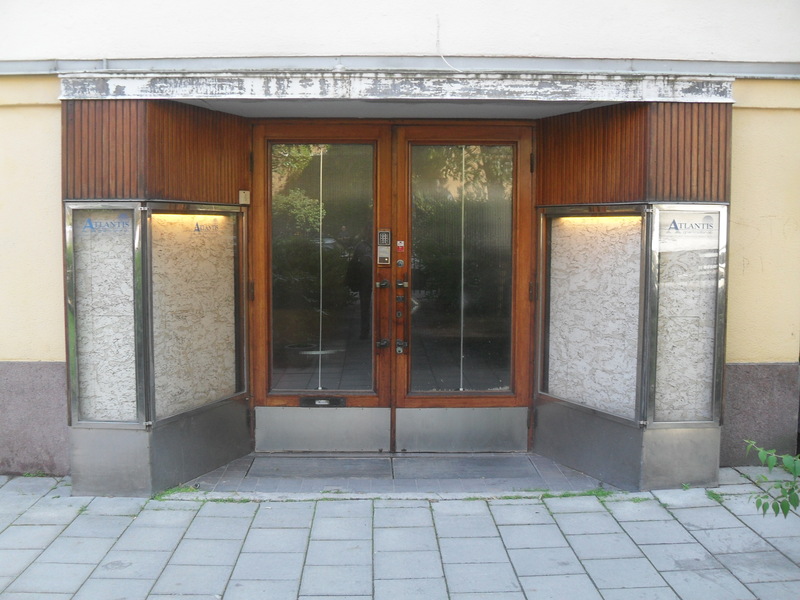 All before the company moved to the famous address Baldersgatan 1 (which we also stopped at along the way). We also visited the site of Alexandra Disco, where the ‘Dancing Queen’ video was filmed, and the photos for the Voulez-Vous album sleeve were taken (not to mention it was a popular nightspot in the late 1970s). Now it’s a French school. Then the spot where the car was parked to take the cover photo for ABBA’s self-titled album in 1975, in front of what is now the Nigerian Embassy. After stopping for lunch at the Hard Rock Cafe, we headed to the final destination of the walk, Atlantis Studios, formerly Metronome Studios. This is where ABBA recorded the bulk of their first five albums and most of their biggest hits from the beginning in 1972 through to 1978, when they opened their own purpose-built Polar Music Studios. But no, we weren’t just there to see the building and the entrance from the street. Surprise!!! We were going in to the studio to have a look. Remarkably, it doesn’t look all that different to how it looked in the 70s, and many of the instruments and equipment used on those ABBA records are still there. The studio is still in demand today. While we were there, mixing was being done in the control room. 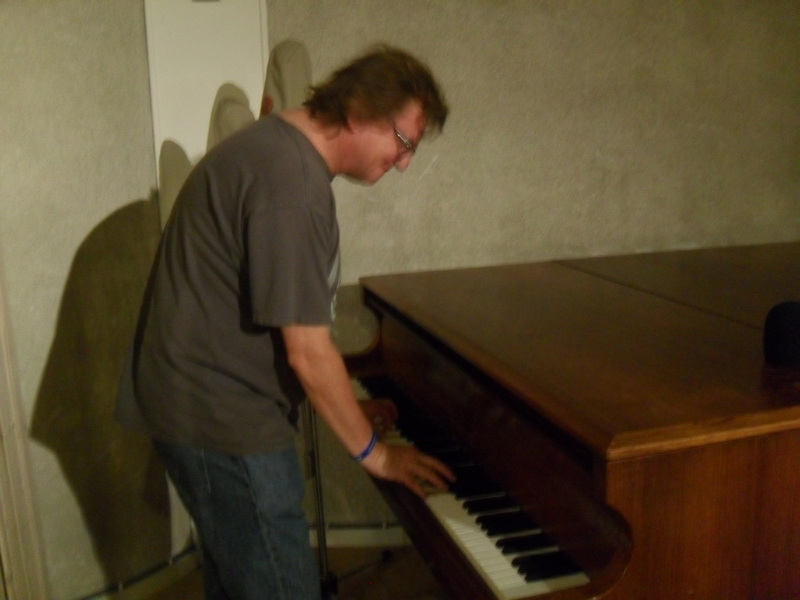 And here I am, recording my next hit, ‘C Major Chord’ on the very piano used on so many ABBA songs. Recent ABBA-related recordings include sessions for the Mamma Mia! 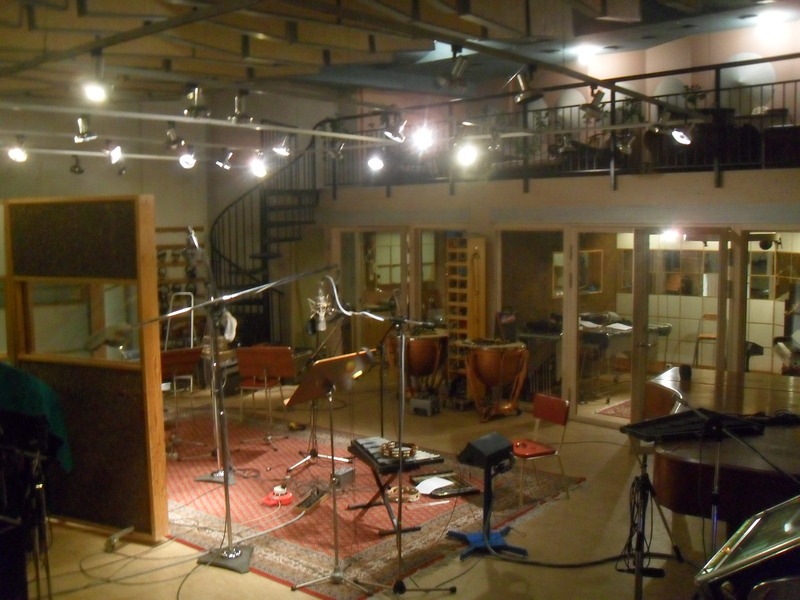 movie soundtrack, and Agnetha’s new album A.
UPDATE: new photo gallery of our visit to Atlantis Studio. With all these VIP privileges I expect to see you gracing the covers of magazines very shortly.